In architectural design, the nineteenth century was a time of revivals, though revivals imbued with a new religious and moral fervour. But in the profession itself, this was a time of more forward-looking innovation and growth. The previous century has been characterised as "a moment of transition between the medieval past and the Industrial Revolution" in this respect (Anderson 253). Now a whole new area of applied arts had really arrived, and was being defined and variously administered. 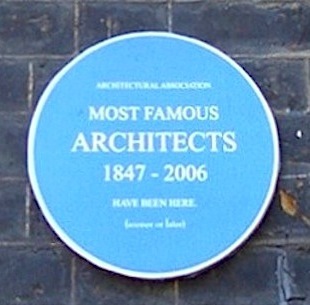 RIBA (the Royal Institute of British Architects) emerged in the 1830s, and the AA (the Architectural Association) in 1847, with Robert Kerr (later to become Professor of the Arts of Construction at King's College London) as its first President. 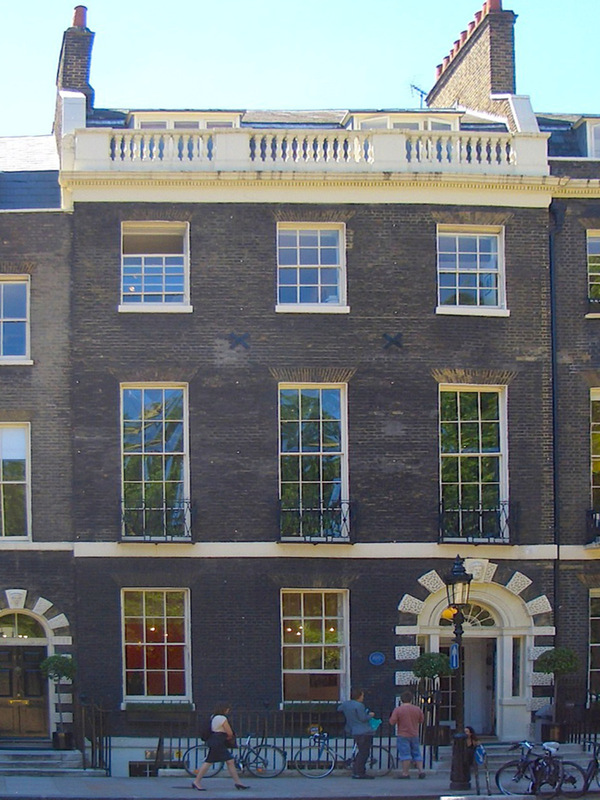 Kerr's title at King's seems to have been carefully chosen to combine both architecture and building, but construction was now supported by newly important and diversified trades and professions of its own. Much of this progress was owed to the great builder, Thomas Cubitt, who even by 1828 had a thousand men working for him in Belgravia alone (Halliday 72). With his management skills and reliability, by training up others to follow him, through his friendship with the royal family and through his philanthropy, Cubitt had a huge influence on how his profession was seen. Most building operations were smaller than his: Helen Long has gathered figures to show that "[i]n north Kensington in 1845, for example, 31 firms put up 137 houses, and in Camberwell between 1878 and 1880, 416 builders put up 1670 houses" (3). Nevertheless, she points out, the total number of people in the building trade rose exponentially, from 203,000 in 1831 to 1,130,425 in 1901 (3), and, despite the inevitable vicissitudes of the market, many of them made a good living in this way. However, from early in the reign, and especially in the capital, important architects had tended to differentiate their skills more distinctly from those of the builders. Of domestic architecture, for example, Stefan Muthesius writes: "Even in those cases where a high-class architect was involved with speculative houses he often concerned himself only with the general layout and the facades"; he adds that, in London especially, architects separated themselves from the "building and finance" aspects of their projects and aimed for a high social status, artistic and moral integrity and so on (251). Only the lower-ranking architects would draw up house-plans for builders, and then only for the smaller builders who did not already have either their own skills, or their own draughtsmen. Cubitt's insistence on being called a builder is both a testimony to his unassuming nature and a gesture of support for the apparently humbler and more "hands-on" side of his calling. Like interior design, quantity surveying and civil engineering also blossomed as separate professional specialities during this period. In 1891, for example, it became necessary to pass an examination for membership of the Institution of Surveyors ("Chronological History" [RICS]). Around this time as well, the Institution of Civil Engineering was taking in around 5,000 new members a year ("History" [ICE]). In general, Morris's focus on the aesthetics of home-making seems to have encouraged a new rapport between the architect and all who helped to carry out his plans. Certainly the Arts and Crafts movement required everyone involved to be brought on board. As Reginald Turnor says, not only was interior decoration "revolutionised," but even "the relationship between architecture and engineering" was "freshly considered" (6). There could be no looking back for the more technological skills involved in construction work, but in order to move forward successfully, a high degree of mutual respect and co-operation was required. Anderson, Christy. Review of James Ayres's Building the Georgian City. The Journal of the Society of Architectural Historians. 59: 2 (June 2000). 252-54. "Chronological History of RICS (Royal Institution of Chartered Surveyors)." Viewed 25 August 2008. Halliday, Stephen. Making the Metropolis: Creators of Victoria's London. Derby: Breedon, 2003. "ICS (Institute of Civil Engineers): 'History.'" Viewed 25 August 2008. Long, Helen C. Victorian Houses and Their Details: The Role of Publications in Their Building and Decoration. Oxford: Architectural Press, 2002. Mackail, J. W. The Life of William Morris. Electric Book Company, 2005. Muthesius, Stefan. The English Terraced House. New Haven and London: Yale University Press, 1982.